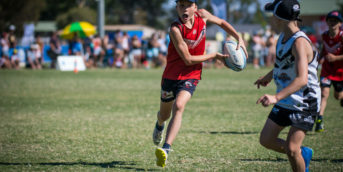 NSW Touch Football is once again on the lookout for keen Event Ambassadors for the upcoming Junior State Cup Northern Conference and Southern Conference events. This year, the NSW Junior State Cup will be held across two Conference events prior to a State Final. If you like having fun and working in a team environment then we would love to hear from you! 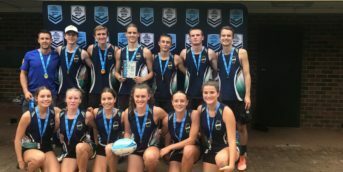 Being an Event Ambassador at NSW Junior State Cup provides you with the opportunity to be at the forefront of all the Touch Football action over the weekend. We require Event Ambassadors to assist us with the delivery of the event as Junior State Cup simply could not run without the help of our volunteers. What are each of the Volunteer areas? The Hub Admin – is where the athletes, coaches and spectators come to ask questions and respond to various requests across the whole event. The Hub Results – is where the athletes, coaches and spectators come and view results after their games and check on progress throughout the event. Street Crew – Volunteers in this area will assist with the Traffic and Bus service including the safety and directing of athletes, coaches and spectators through pre-during and post event. Ground Marshals are required to guide the athletes, coaching staff and spectators around the precinct and ensure that all do so in a safe and friendly manner. Ages have spanned up to people in their 70’s, so you are never too old to volunteer, as long as you have the right attitude and want to help out. What are the benefits of being an Event Ambassador? NSWTA are happy to work with Event Ambassadors schedules. Whether you would like to help out for a day or over the whole weekend we would love to hear from you! Feel free to contact Rebecca about ways in which you can get involved.